Fantastic! If you are reading this that means you have decided to make a commitment to celebrate your partnership by getting married. Plans have been made, save the date notices have been sent and the venue chosen. How exciting. Now you need to choose the celebrant who you would like to help you put your words and thoughts together and design and develop the perfect ceremony. Whether it is high energy and fun, serene and classic, I am here to help. I love being a part of your special day and helping you in having the time of your life. My ceremonies are personal relaxed and fun as is my nature. 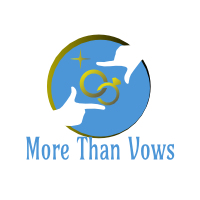 I have a ton of experience and have delivered all kinds of wedding ceremonies . I am also an experienced and certified trainer/mentor and tutor and have worked with all types of groups, small to large. My strong back ground in business coupled with my coaching experience is a winning combination. I have worked with national and global companies through which I have gained so much experience that has helped me deliver on expectations. You will feel assured that your day will be designed, developed and delivered by a true professional, while also experiencing the personal touch. Is there anything better than hearing words that can bring a smile to your face or a tear to your eye- the wonderful power of words that can evoke emotion and remind us of how special we are to one another. I would love to help you complete your plan for the perfect day. I am happily married for 17 years and we had a fabulous happy fun wedding day. 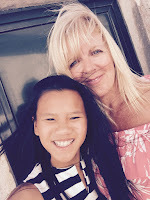 My biggest achievement is our beautiful daughter Ava, now 11, whom we adopted when she was 3 months old from Vietnam. I also do naming ceremonies! I am an organised, flexible person. I can adapt to any situation and always strive to do the best job possible. Listening and gaining understanding of what you are maybe trying to achieve- but cannot quite get there on your own- and translating your ideas into a bespoke event are qualities I can offer. Isn’t it fantastic to know you are in safe hands. If you know exactly what you want or not sure where to start I will be there to support and guide you. Interested in knowing more? Please get in touch and I will be happy to help.